Registration is now open for the 2019 Dalcroze Youth Summer Camp Jaques of the Jungle!!! 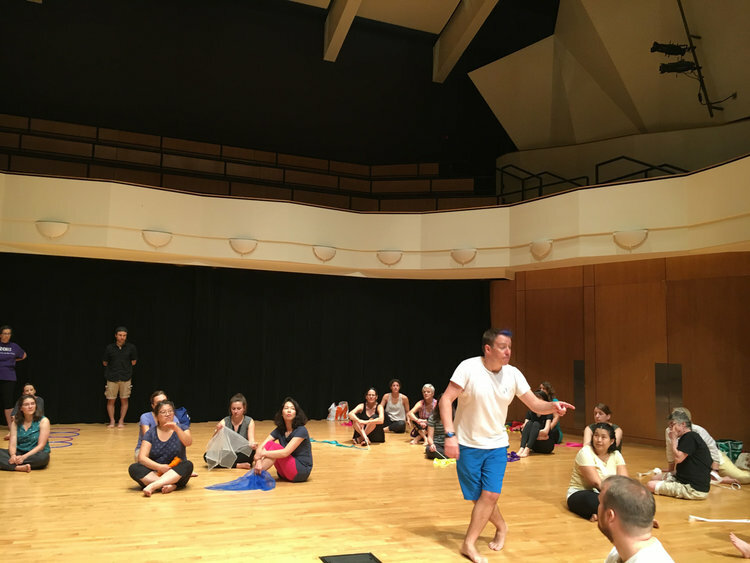 Registration for the 2019 Dalcroze Academy is now open! Click here to learn more; enrollment is limited! For ages 4-7, Dalcroze Eurhythmics™ prepare the body as an instrument by increasing coordination, control, balance, attention, flexibility, focus, spatial awareness, emotional knowledge, and vocal precision in a joyous and discovery-based environment for music education. For ages 6-14, the Dalcroze™ Rhythmic-Solfège™ sequence provides students with all of the necessary building blocks to achieve success at their own instrument. This process-oriented program maintains the Dalcrozian tenants of joy and discovery but delves more deeply into musical subjects. See 2017-2018 Youth Class Schedule here. The Dalcroze School of the Rockies™ offers professional training and development for adults who are looking to further their understanding of music and movement on a deeper level and for those interested in pursuing the internationally recognized Dalcroze™ Certificate or Dalcroze™ License. At the Dalcroze School of the Rockies™, we offer classes for adults who are seeking enrichment through Eurhythmics™ study and those who are seeking professional development through the Professional Studies Program. The profound benefits of Dalcroze™ Education are diverse both for musicians and dancers. See 2017-2018 Adult Class Schedule here. Know someone who would like try a class? Contact us to sign up for a demonstration class! All Euyrhthmics Classes designed for youth ages 4-7. Reserve your spot by emailing lee@dalcrozemusic.com or call (720) 520-2443. Thanks to All of Our 2018 Dalcroze™ Academy Students! Thanks to everyone who made this year's Academy such a blast. We value your privacy and will never sell or give away your information. It is for our use only so that we can reply to your request. Thank you. Dalcroze™ Education is a unique, exciting, and powerful way of knowing music through the body. 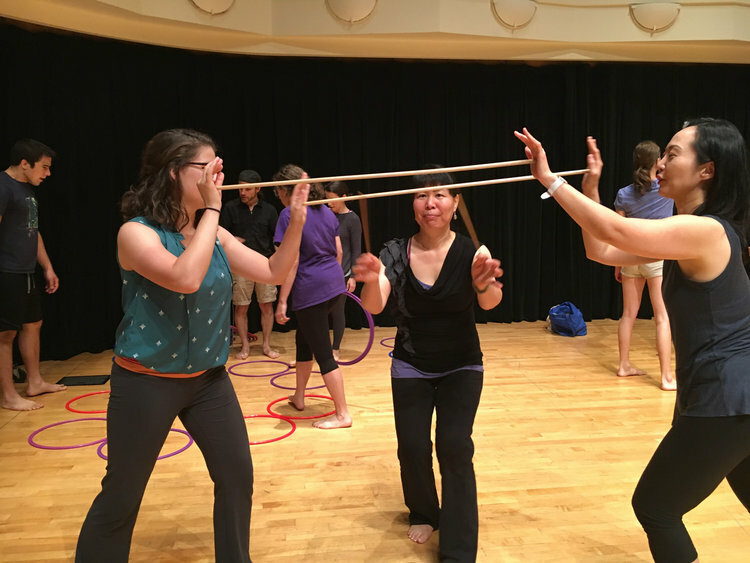 The Dalcroze™ approach explores musical concepts through social and interactive methods that invite students to trust their ideas and develop their own intuitions. Eurhythmics™ courses nurture the imagination and unlock creativity through rhythmic movement and active listening. Solfège plays a key role in training the eyes and ears to instantly respond to musical notation. Improvisation engages the spirit of play to facilitate enlivened music-making according to the student's own invention: in movement, with the voice, or with an instrument. Dalcroze™ study makes music vivid for everyone, from young beginners though adult professionals; experience the joy of Dalcroze™ Education for yourself!